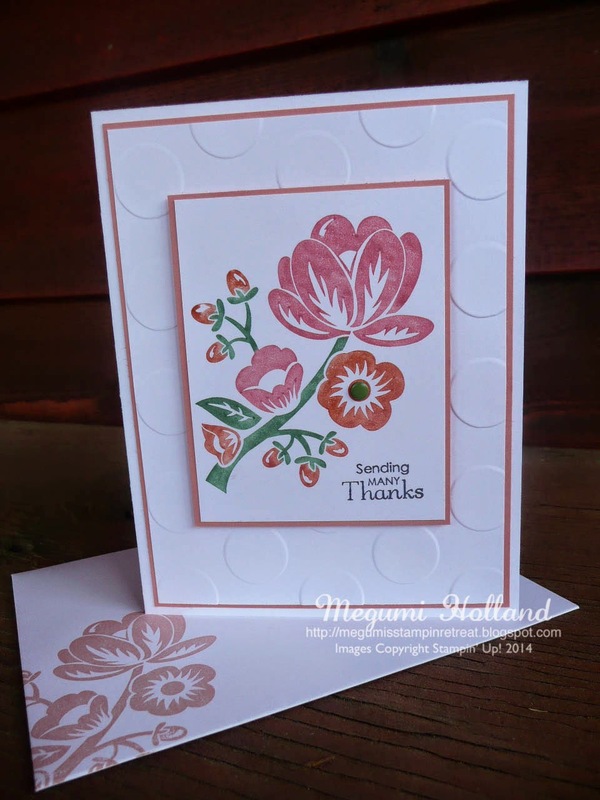 Here is a quick and easy Thank You card featuring the Hey There Buds Stamp. 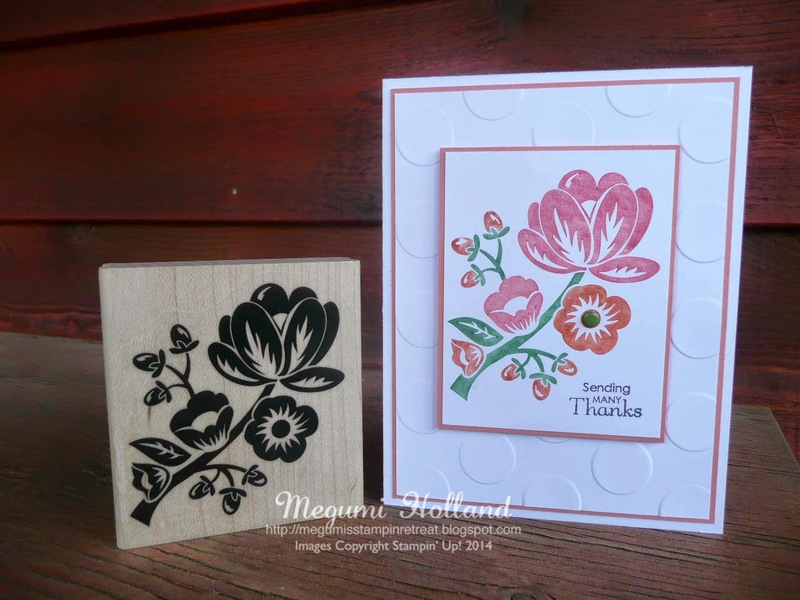 I was inspired by a similar card shown on page 125 of the Annual Catalog. 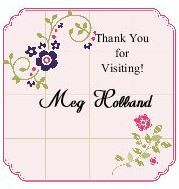 I just added a few pieces of Blushing Bride card stock to add more color to mine. The Hey There Buds Stamp is a single stamp and comes in wood mount only. When mounting my stamp on to a wood block, I cut off the sentiment (hey there) and converted it to a clear-mount stamp using the Clear-Mount Cling Form (see page 235). This makes it more versatile so that I can use it for any occasion. Love it!! !